Stavanger, the administrative capital of the Rogaland region, is a charming city in Norway. It offers access to breath-taking scenery in the surrounding area and is home to over 130 000 residents. Stavanger features lovely, well-preserved wooden buildings and access to the amazing and colossal Lysefjord. 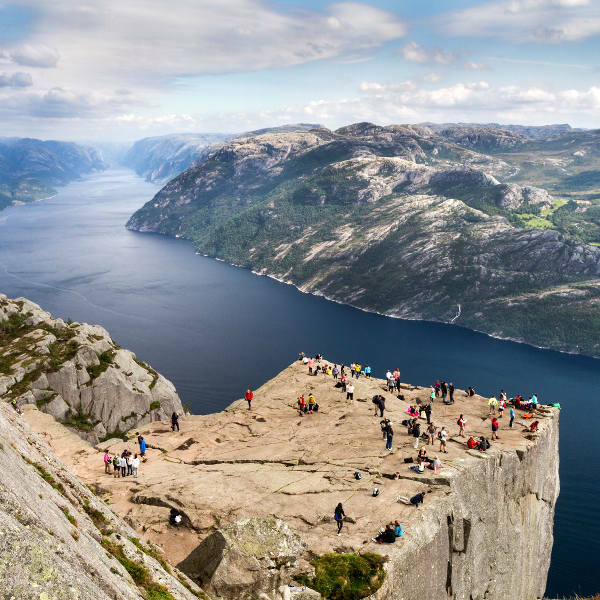 The city’s top attractions include Preikestolen, Three Swords, and Stavanger Cathedral. Get ready to explore the beautiful administrative capital of the Rogaland region, because cheap flights to Stavanger are now available. Stavanger is home to Stavanger Airport (SVG), which is a 20-minute drive or a scenic 40-minute bus ride from the city centre. With cliffs and fjords around Stavanger, like Preikestolen and Lysefjord, you’re guaranteed to have a memorable time exploring the landscape around this Norwegian city. Stavanger includes access to the monuments and museums that highlight the impressive history of Norway, such as the Three Swords, the Norwegian Petroleum Museum, and Stavanger Cathedral. During the cool summers and mild winters, there are plenty of activities for you to enjoy, such as Arctic-style surfing at Solastranden Beach, and ice skating at Stora Stokkavatnet. Stavanger has cool summers, mild winters, and rainfall throughout the year, with the highest volume from September to February. The summer season (June – August) is the most popular time to visit, with temperatures reaching no higher than 20°C and moderate rainfall. If you prefer to skip the crowds and avoid the hassle of booking accommodation in advance, make sure to visit Stavanger during the months of April and May (spring). Around this time, the temperatures are starting to rise to the mid-teens, and the volume of rainfall decreases to below 40 millimetres. This charming destination offers you a holiday opportunity you should not miss out on. With gorgeous scenery all around and nearby breath-taking sights like Preikestolen and Lysefjord, Stavanger invites you to take part in an adventure, exploring the magnificent landscapes that surround this Norwegian city. Those who enjoy hiking, climbing and mountain biking will have plenty of opportunities to do so in the mountains around Stavanger. 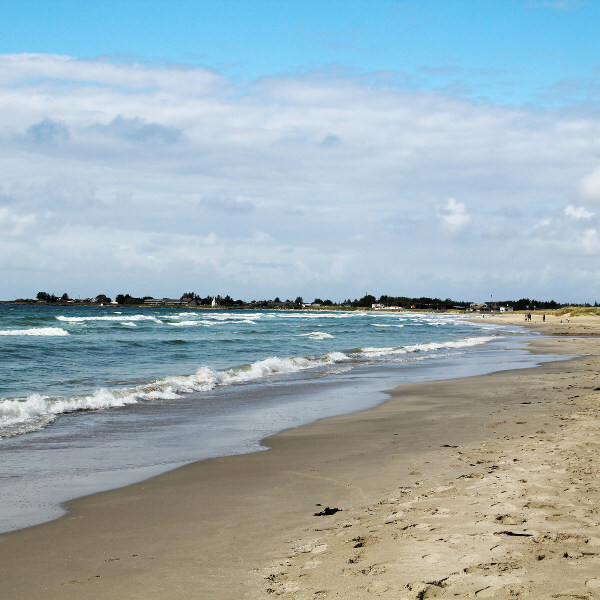 In the summer, take part in thrilling Arctic-style surfing at the northern-most break in the world, Solastranden Beach. During the winter season, go ice-skating at Stokkavannet, the largest lake in the area. 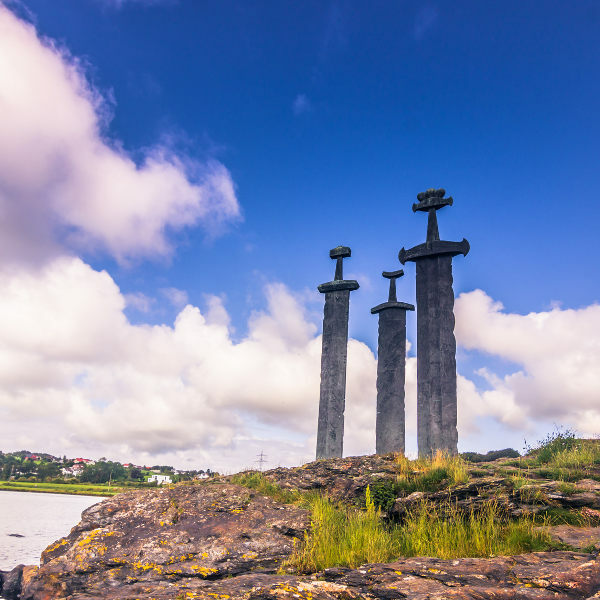 For some insight into Stavanger’s history of the first king of Norway – Harald Fairhair - and a fantastic photo opportunity, visit the Three Swords. Compare several airlines and book your cheap flights to Stavanger online at Travelstart! The local police force in Stavanger ensures that the city has a high level of safety. Like any destination, however, there is crime to consider. During the weekends, you should be careful when exploring the downtown area, as many partygoers often have too much to drink and may harass you. When taking a taxi, always do so in groups. In the city centre, while walking, you may encounter prostitutes. According to reports they can be persistent. Simply carry on walking, since it is illegal to practise prostitution in Norway. It would be wise to visit your doctor and receive all the necessary routine vaccinations four to six weeks before your trip to Stavanger. Depending on where you go and what you do, you may also need vaccinations for hepatitis A, hepatitis B, and rabies.